Defense Minister had backed former Sgt. Elor Azariya's request for clemency, says president's failure to issue pardon a missed opportunity. 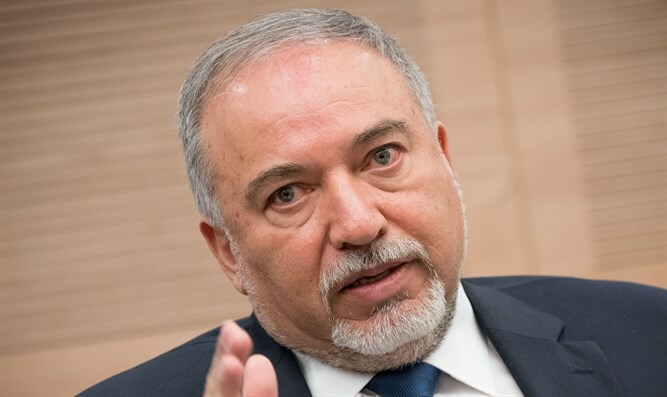 Defense Minister Avigdor Liberman expressed ‘sadness’ Sunday afternoon, following the decision by President Reuven Rivlin to deny a presidential pardon to former IDF Sgt. Elor Azariya. Azariya, who was released from the IDF in June after having completed his three-year mandatory service, was convicted of manslaughter in January for the shooting death of an Arab terrorist shortly after a stabbing attack in Hevron in March 2016 which left one soldier wounded. In February, Azariya was sentenced to 18 months in prison, though on appeal, IDF Chief of Staff Gadi Eizenkot slashed four months from the sentence. Liberman had earlier this month expressed support for Azariya’s bid for a presidential pardon, praising Azariya’s service in the army. Despite the endorsement, however, Rivlin refused to grant the pardon, claiming any further reduction in Azariya’s sentence could “harm the resilience” of the IDF and the State of Israel. In response to the president’s decision, the Defense Minister said that he ‘regretted’ the refusal to grant clemency. "I regret his decision to reject the request for a pardon of the soldier Elor Azariya." "President Rivlin had an opportunity to put an end to this affair, which has shaken Israeli society," he added.